The Berghaus Paclite Pant is a classic lightweight over-trouser. The super-light outer fabric provides a tried and tested strength-to-weight balance. 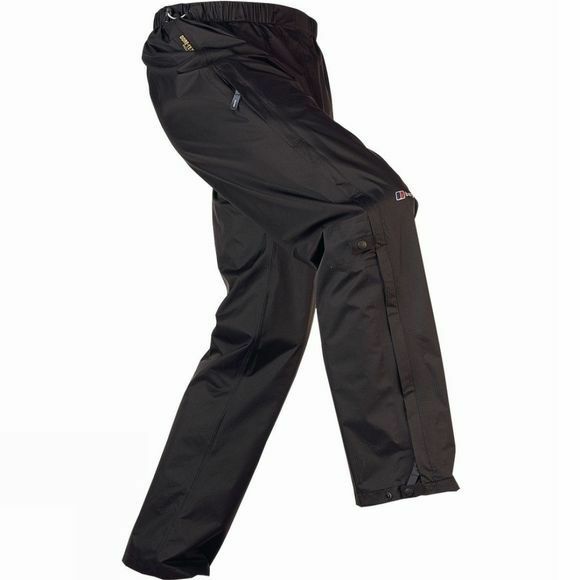 Three-quarter length, water resistant venting side zips allow the pant to be pulled on quickly helping you to regulate your temperature whilst the GORE-TEXÂ® laminate with PacliteÂ® Technology makes the Pant waterproof and breathable, packing down for convenient on-hand protection when you need it. GORE-TEXÂ® Extreme Wet Weather guarantee.